This fragrant stew is an easy riff on a classic Chinese dish called red-cooked beef. When I was a child, my Chinese grandmother would make a similar type of dish for special occasions like my birthday enriched with boiled eggs and glass noodles. The eggs, which were my favorite part, would be boiled and peeled and then cooked with the beef, and would end up colored and tasting of the delicious broth. The eggs symbolized fertility and the noodles symbolized long life. Sometimes, my grandmother would have a dish of red colored eggs where the red color meant prosperity, good luck, and happiness. The flavor of the stew comes from star anise and five spice powder which is a mixture of spices normally including cloves, cinnamon, sichaun pepper, star anise, and fennel. 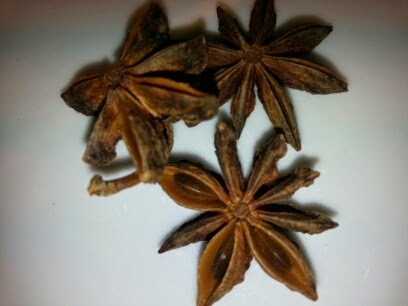 I love using star anise because they are so amazingly pretty. 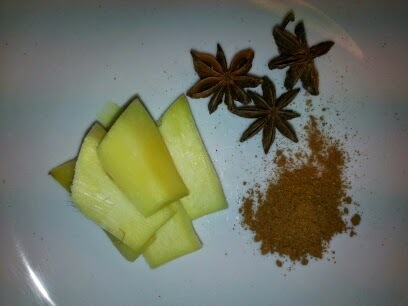 The five spice powder can be used as a spice rub on meat, in stir fries, or even stirred into mayonaise for a dip. It makes everything taste vaguely Chinese! Orange and ginger are complementary flavors that I throw in, if I happen to have the ingredients around. But the stew will taste also good without them. For everyday, I usually don't bother to do the extra step of boiling the eggs. Making it in a slow cooker makes it easy to serve on a weekday, but you can also make it on a pot on the stove. First prepare all the ingredients. This can be done the night before, if you just want to throw it all in the slow cooker in the morning. Cut the beef into bite size chunks. Chop the onions into large dice. 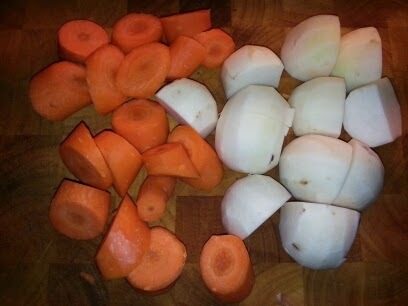 Peel the carrots and the turnips or radish and chop into large bite size pieces. Peel the garlic and chop each clove into two pieces. Peel the ginger and slice thinly. 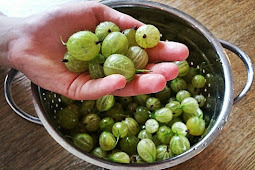 Take a large pot or skillet and put on the stove on the highest heat. Put some oil in the pan and brown the beef in three to four batches. If you try to brown all the beef at once, the heat will drop in the pot and the juices will come out of the meat and you will end up boiling the meat instead of browning it. For each batch, drop in pieces in a single layer to cover the bottom of the pan, making sure that each piece has contact with the pan. Turn the pieces over until they are nicely brown on all sides. Put the browned pieces in a bowl (or straight into the slow cooker pot), and then repeat until all the meat is done. In between batches, if the browned bits that are stuck to the bottom of the pan look like they might burn, throw in a quarter cup of water and scrape the bottom of the pan. Add this water to the bowl with the browned meat. 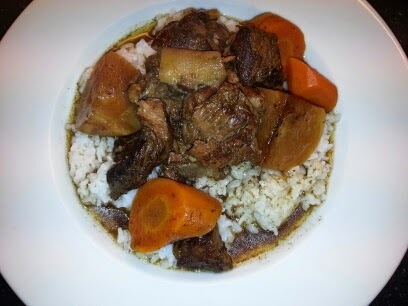 It is these caramelized juices that will form much of the flavor of the stew, so you want to make sure you get it all! Then, heat the pan again and add a bit more oil and continue browning the meat. 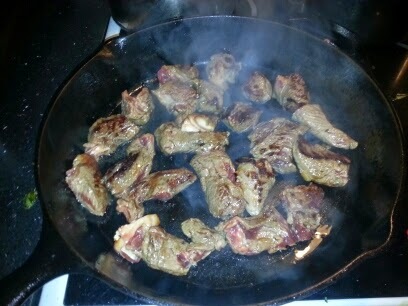 When all the meat is browned, add a bit of water to the pan and scrape the bottom of the pan, stirring until all the browned goodness at the bottom is dissolved into the water. Pour this water into the bowl with the meat. Put the browned meat and the juices into the pot (or your slow cooker), add the vegetables, onion, garlic, and peeled boiled eggs if you are using them, and pour in water about half way up (about 2 cups of water). Put in the spices and soysauce. Pepper generously. If using a slow cooker, then turn it on, according to how long you will be away and put on the lid. If cooking on the stove, then bring the stew to a boil. Let the stew simmer at a light boil for an hour with the lid off (this will evaporate some of the liquid to make a stronger tasting broth). After an hour, taste the stew liquid for salt. Add some salt or more soysauce if necessary. The liquid should taste fairly full bodied. If it tastes a bit weak, leave the lid off to reduce the liquid further, but be careful to salt with a light hand. If the liquid already tastes good, then put the lid on and lower the heat until the stew is just simmering. Simmer until the meat is very tender, a further one to two hours. Whether made on the stove or in the slow cooker, taste and adjust the salt before serving hot over white rice. Stir fried bok choy, spinach, or other greens make a nice accompaniment.